In this article we will be reviewing some of the bearish cases for equities since they have overcome the correction earlier in the year and are now near record highs once again. The Nasdaq and the Russell 2000 already beat their January highs, but the S&P 500 and the Wilshire 5000 haven’t. To be clear, it’s not a good idea to be bearish on stocks just because they are at their record high. That’s a terrible argument as bull markets are built on earnings and economic growth. If there is economic momentum and earnings growth, records can be surpassed. You can buy high and sell higher. The purpose of this article is not to be a prediction, but an evaluation of risk. The Fed is getting more hawkish as it nears contractionary policy, which we define as an inverted yield curve. It’s possible that the Fed funds rate is already high enough to slow economic growth, but the fiscal stimulus is more than making up for this weakness. We will see the effects of this monetary policy when the stimulus begins to decline in impact in the next few quarters. There will be a higher fed funds rate when the stimulus wears off, which could cause an increased dose of weakness. By December 2018, the Fed fund futures say there is a 68.5% chance of at least 2 more 25 basis point hikes. By September 2019, the Fed funds futures show there is a 69% chance of at least 3 more hikes. As we get close to the end of this hike cycle, each decision becomes amplified. The Bloomberg chart below shows the Fed’s language in chart form. It’s a great visual to show how policy has changed through its language besides interest rate decisions. Forward guidance is very important because it sets the stage for what the Fed fund futures price in. The Fed saying there is strong activity doesn’t sound like much, but it is important because the Fed chooses its words carefully. This is the first time since May 2006 the Fed said the economy is strong. 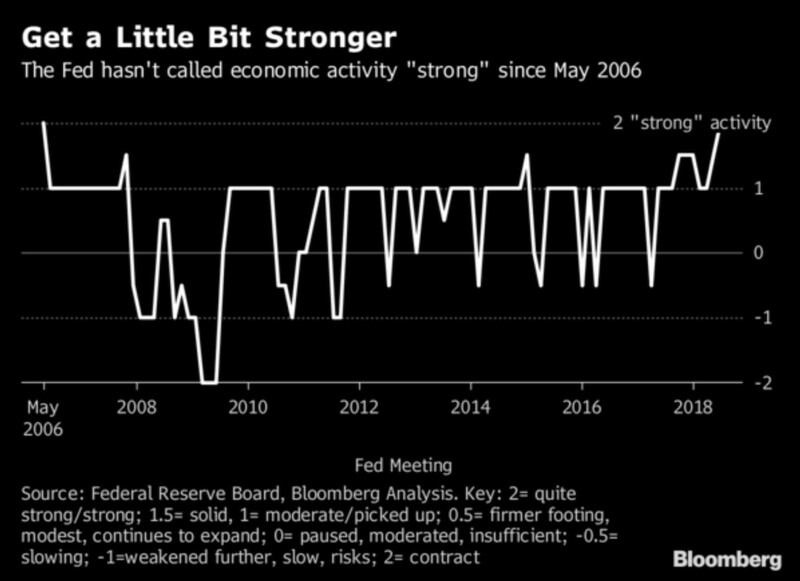 In this case strong is bad because it means the cycle is probably peaking and the Fed feels it can raise rates quickly without pushing the economy into a recession. 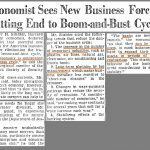 It took 19 months for a recession to occur after the Fed last said economic activity was strong. Even though the Fed looks at core inflation to determine policy, consumers live in the world of headline inflation where they don’t get to ignore prices which are volatile (food & energy). 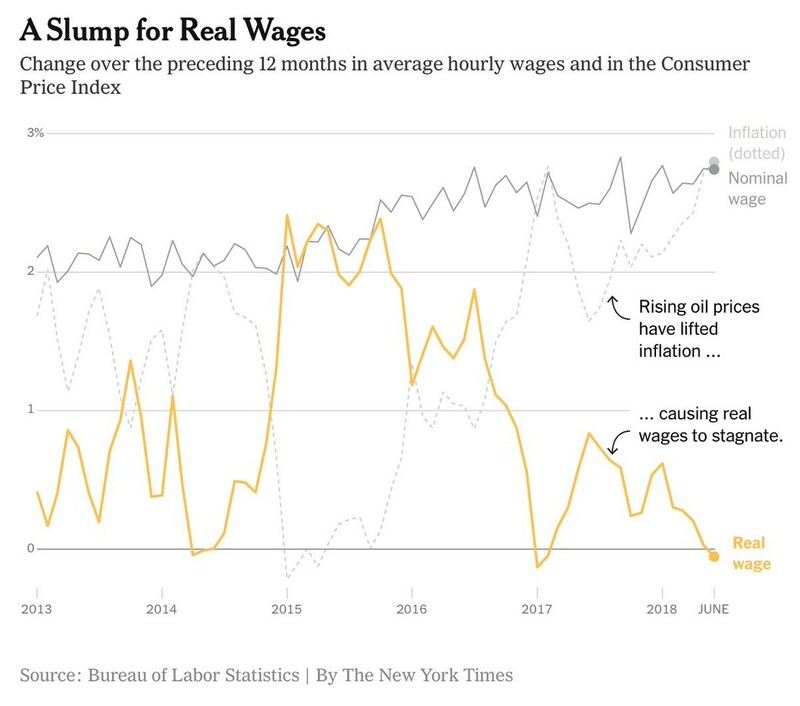 The NY Times chart below shows rising oil prices have pushed up headline CPI which has caused real wage growth to go negative in June. The consumer is being suffocated even though there is a low unemployment rate and decent nominal wage growth. July weekly earnings growth fell from 3.3% to 3%. July headline year over year CPI is expected to be up 2.9% which is the same as June. Decelerating weekly earnings growth and stable CPI growth isn’t a good combination for the consumer. Real consumption growth of 4% drove Q2 GDP growth to 4.1%. Without a strong consumer the economy can’t continue to grow at such speeds. Stocks went from declining every time there was negative news about the trade battles earlier this year to completely ignoring them even though the rhetoric has increased. Investors like the great earnings reports, but time will tell if they are wrong to ignore the potential for a trade war. Being emboldened by the 4.1% GDP growth, 3.9% unemployment rate, and stock market at/near all-time highs the US administration is continuing to increase the trade rhetoric. However, good economic trends could be bad news on the trade front. America is considering a 25% tariff on $200 billion of Chinese goods instead of the initial 10% rate. China is now threatening to put a 25% tariff on U.S. liquefied natural gas. The UBS charts below show the potential impact from a trade war. 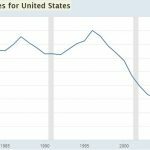 In the scenario where America puts a 25% tariff on cars which causes global retaliation and there is an additional 10% tariff on $200 billion worth of U.S. China trade with proportional retaliation, US GDP growth is hurt by about 100 basis points and Chinese GDP growth is hurt by over 50 basis points. In the scenario where there is a 25% tariff on cars and 30% tariffs on almost all U.S. China trade, America GDP growth is hurt by about 250 basis points and Chinese GDP growth is hurt by about 225 basis points. The estimates on markets could vary more than the projections on the economy. UBS expects the S&P 500 to fall 11% in a trade escalation scenario and 21% in a trade war. The U.S. 10 year yield could fall 20 basis points in an escalation and 30 basis points in a trade war. 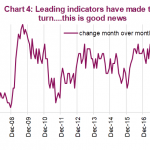 The July ISM manufacturing and non-manufacturing reports showed companies are concerned about the tariffs. The ISM manufacturing index fell from 60.2 in June to 58.1 in July, missing estimates by 1.4 points. 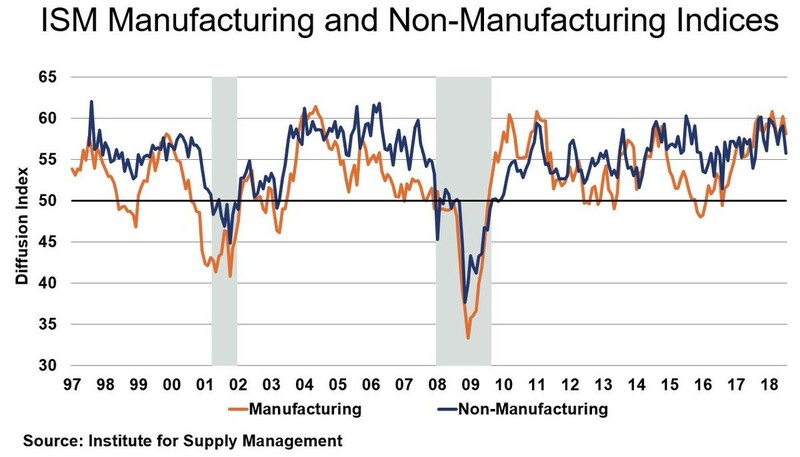 The ISM non-manufacturing report fell from 59.1 in June to 55.7 in July, missing estimates for 58.8. The manufacturing PMI is consistent with 4.6% GDP growth and the non-manufacturing PMI is consistent with 2.5% GDP growth. Fed rate hikes, decreasing real wages, and a trade war can cause the stock market to decline. We aren’t predicting what will occur, but we think it’s worth considering the potential negative catalysts for stocks when you decide whether to go long or short. Here is an article discussing some of the positive catalysts for stocks. 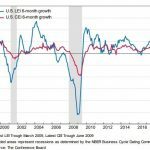 PreviousJuly Employment Report: 2 Years of Job Growth Left?